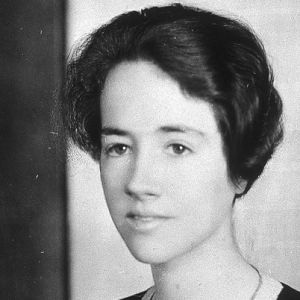 June 22nd; Writer and pilot Anne Morrow Lindbergh is born on this day in 1906 in Englewood, New Jersey. Lindbergh attended Smith College, where her writing won several coveted literary awards. At age 23, she married celebrated aviator Charles Lindbergh, who had made the first transatlantic solo flight in 1927. The couple flew frequently, and she became the first woman to receive a glider pilot’s license. She got her airplane pilot’s license in 1931 and later published several books about her experiences, including North to the Orient (1935), which chronicled a flight over Canada and Alaska to Asia. Tragedy struck the Lindberghs and thrust them in the media spotlight in 1932, when their infant son was kidnapped for ransom and later found dead. The Lindberghs went on to have five more children, and Anne continued to write books. In 1934, she became the first woman to win the National Geographic Society Hubbard Gold Medal. Her 1944 book Gift from the Sea became a bestseller and was reissued in a special anniversary edition 25 years after its publication. Lindbergh died on February 7, 2001, at age 94.